I would be remiss to suggest that you stop going to Starbucks (or whatever coffee shop you prefer) because I go there myself. I get it; morning coffee (or afternoon coffee for some) is a ritual. It’s what gives many of us the energy to start the day or get us through that afternoon slump. Here’s the deal. Coffee in and of itself is not the problem. In fact, it can be very healthy. Coffee contains antioxidants as well as some vitamins and minerals, including riboflavin, B5, magnesium, and potassium. Additionally, drinking coffee is associated with lower risk of type-2 diabetes, Alzheimer’s disease, and increased longevity and for many, coffee is one of the only bitter herbs included in their diet, which can help stimulate metabolism, immune system function and detoxification through liver support. The issue with coffee and weight gain lies in what we put IN our coffee as well as WHEN we’re consuming it. 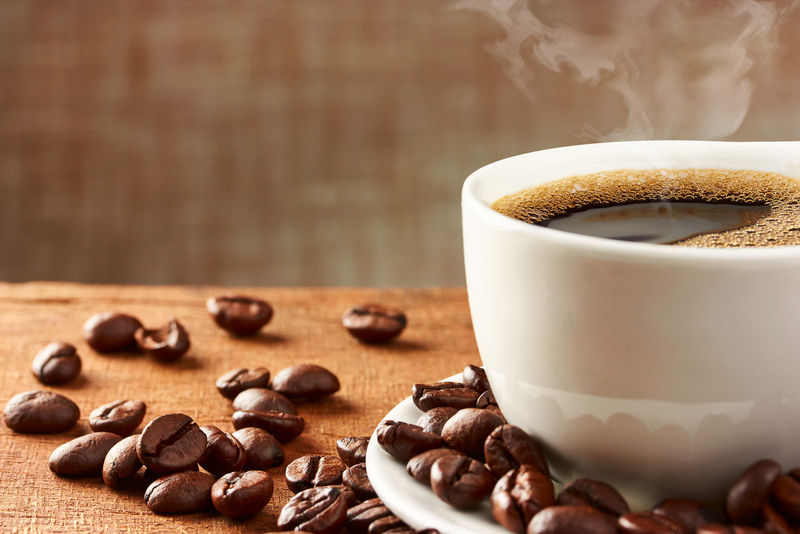 Here are a few ways that your coffee habit could cause you to pack on unwanted pounds. OK, so the calories really aren’t “hidden” per se, but a lot of people don’t realize just how many calories they’re consuming in coffee beverages. If you drink one of these beverages every day or every week, these liquid calories can REALLY add up. A general rule of thumb is the fancier the drink, the more the calorie load. For example, a Grande Caramel Macchiato from Starbucks has 250 calories. A Grande White Chocolate Mocha Frappuccino has 520 calories. In general, the average sedentary individual should be consuming around 1,500 calories per day to maintain weight. Now that number obviously changes depending on the weight loss goals, the level of physical activity, age, height, and overall health, but let’s just assume for our purposes 1,500 calories. A 520-calorie Frappuccino already represents more than 1/3 of a person’s daily caloric needs while providing close to zero nutritional value. A McDonald’s large McCafe Frappe Mocha (no whipped cream) clocks in at 600 calories. Caribou Coffee’s large Breve with whipped cream is 700 calories. And to top off the list, a large Frozen Caramel Swirl Iced Coffee with Cream from Dunkin’ Donuts has a whopping 1,060 calories. Needless to say, these types of drinks easily break the caloric bank. What About Healthy Coffee Drinks? Now, let’s say you opt for something seemingly “healthier,” like an iced coffee with ½ and ½ and a little sweetener. A Starbucks Grande Iced Coffee (sweetened) and 4 tablespoons of ½ and ½ is 160 calories. A Starbucks Venti 2% Latte is 240 calories. As you can see, these are certainly fewer calories than the aforementioned fancy drinks. However, they could easily be enough, especially when consumed on a daily basis, to negate your fat loss. Additionally, with the prevalence of low-carb, we’re seeing a rise in fat consumption, especially things like heavy cream in coffee. Only three tablespoons — and if you’ve never measured yourself you’d be surprised at just how little this is — equates to around 150 calories and 15g of fat. While potentially not THAT big of a deal, if used multiple times per day this ALONE can easily derail weight-loss efforts. Pro Tip: Minimize your calories from beverages. Be it coffee or tea, adding sweeteners or “milk” of any kind can be enough to easily throw off your daily caloric intake and sabotage your weight loss. All right, so we talked about calories. Now let’s talk about sugar. These fancy drinks I mentioned early are chock full of added sugar. Sugar is a simple carbohydrate. 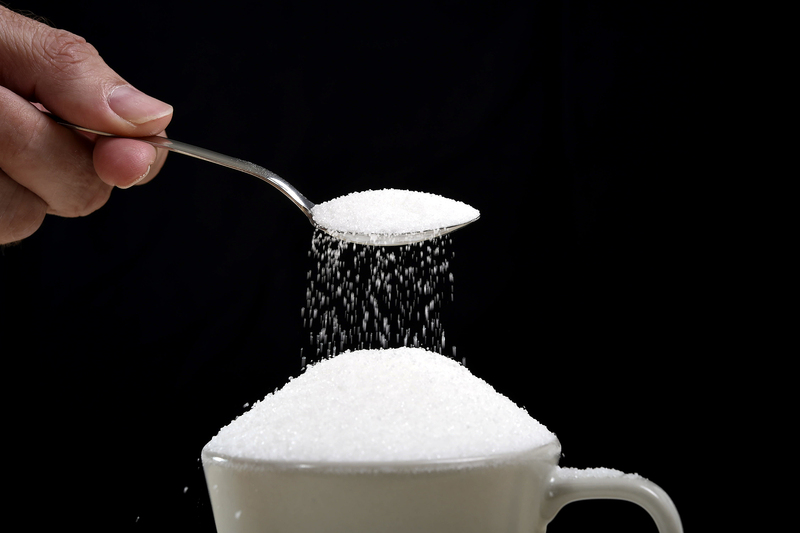 The body quickly and easily breaks down sugar into glucose for energy. Unused glucose is converted into glycogen, which is stored in your liver and muscles. Once the glycogen stores are full, excess glucose converts to fat. Refined sugar is also empty calories, which keeps you from feeling full and can make you gain weight. High sugar consumption is also associated with increased risk of type-2 diabetes and heart disease. The American Heart Association recommends limiting added sugar to no more than 37.5g/9 teaspoons for men and 25g/6 teaspoons for women a day. How Much Sugar Are We Drinking? Let’s go back to those fancy Starbucks drinks I mentioned earlier. That Grande Caramel Macchiato has 35g of sugar. The Grande White Chocolate Mocha Frappuccino has 64g of sugar. These drinks alone put you at or WAY over the recommended sugar threshold. Even the “healthier” sweetened iced coffee with half-and-half is 20g of sugar. The Venti 2% Latte has 23g of sugar. A Grande Sugar-Free Skinny Vanilla Latte still has 16g of sugar. The high quantities of sugar consequently translate into high quantities of carbohydrates (since sugar is a simple carb). So, in addition to the sugar problem, these drinks will also hurt you if you’re trying to stick to a low-carb diet. 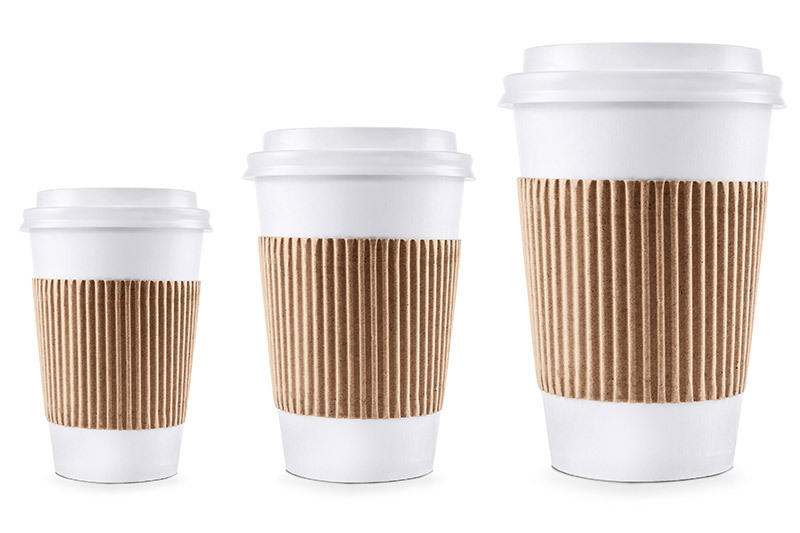 Pro Tip: Consider ordering coffee or tea without artificial sweeteners or creamers. If you need to add some sweetness to your morning cup of Joe reach for something like stevia, raw local honey, or a little maple syrup. You can also consider adding a splash of organic nonfat milk, coconut milk, or almond milk. Note: Caffeine sensitivity differs from person to person. Some people can drink a cup of coffee at night and have no issue falling asleep, while others will end up tossing and turning. Sleep is one of those things that we take for granted, but it’s super important for a number of things, including energy, muscle recovery, strength, and weight loss. The National Sleep Foundation recommends that you get between 7 and 9 hours of sleep a night. Here’s what happens when we consistently don’t get the recommended amount of sleep. Cortisol is a stress hormone that we produce throughout the day. It’s related to fight or flight. When we get stressed our body produces more cortisol to help us cope. Cortisol levels are supposed to be highest in the morning (since it’s responsible for heightened alertness) and gradually decrease throughout the day into the night. Research links chronic sleep deprivation, which can be the result of consistently drinking too much caffeine too late in the day, to elevated evening cortisol and a slower rate of cortisol decrease throughout the day. Continually high cortisol levels raise insulin levels, which decreases blood sugar. As a result, the body stimulates glucose production. Like I mentioned earlier, excess glucose gets converted and stored as fat. Low blood sugar also makes you crave sugary/salty foods. 2. Human Growth Hormone (HGH) decreases. HGH is important for muscle growth and recovery because it speeds up muscle protein synthesis (MPS). It’s also important for fat loss. It doesn’t take a rocket scientist to understand that if you’re not sleeping well your energy is going to be limited during your workouts (if you have the energy to work out at all). Consequently, this affects your workout intensity and overall work capacity, potentially making it more difficult to lose weight. Pro Tip: Minimize caffeine after noon as it negatively affects your ability to wind down, fall asleep, and experience deep/restorative sleep. In the afternoon choose water and incorporate some physical activity like walking, stretching, or body weight exercises (squats, push-ups, or a quick HIIT interval) to help boost your energy when you feel that afternoon slump coming on. Coffee is a great thing to drink in the morning as long as it’s not filled with artificial sweeteners and/or fat-laden creamers. A good rule of thumb is to avoid ordering the “fancy drinks” like Frappuccinos or decadent sounding lattes. Don’t be fooled by the skinny, sugar-free lattes either. 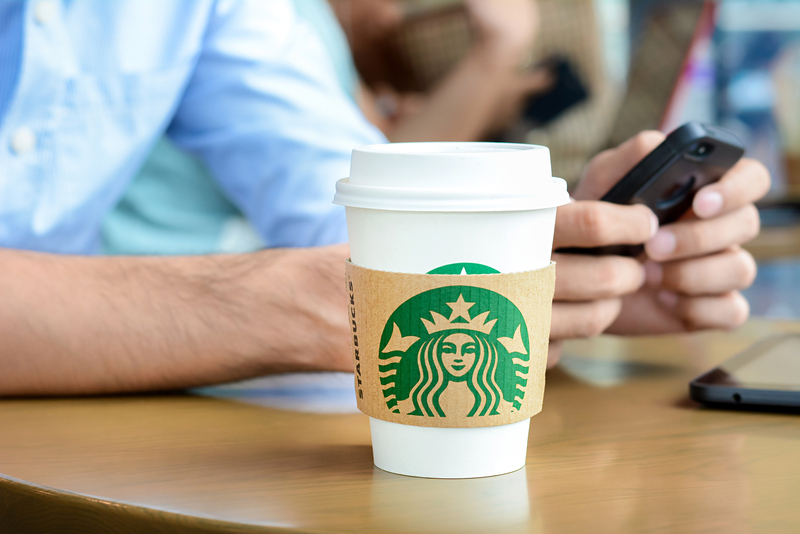 A skinny sugar-free latte from Starbucks is 120 calories, 18g of carbs, and 16g of sugar. So while it’s a “healthier” option, it’s still going to affect your ability to lose weight. 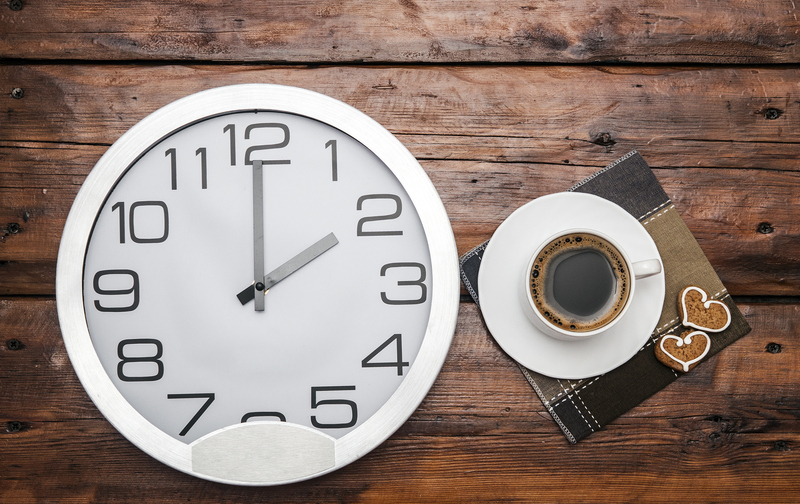 In addition to the calories, sugar, carbs, and fat from coffee beverages, getting too much caffeine too late in the day can really disrupt sleep patterns. This, in turn, can increase carbohydrate cravings as well as daily caloric intake. It’s perfectly fine to indulge in the occasional pumpkin spice latte, caramel macchiato, or even (dare I say) a unicorn frappucino, just not every day. 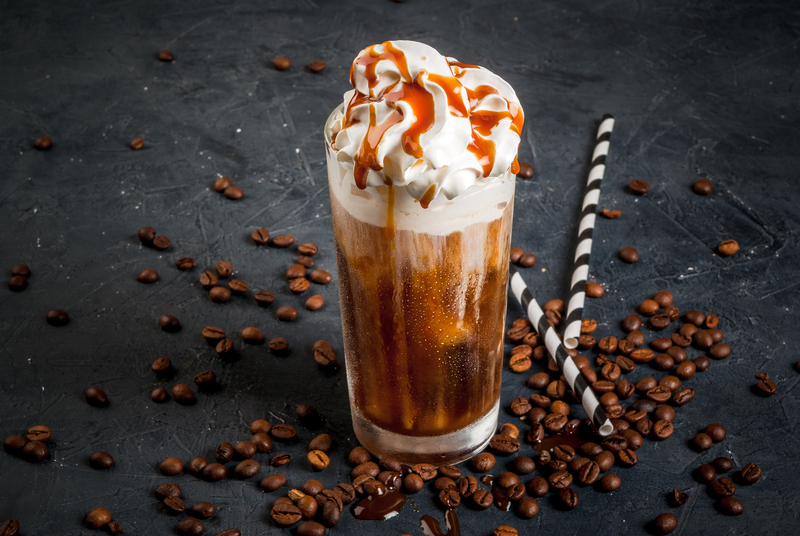 If you’re a habitual coffee drinker, try and opt for an iced black coffee (with a little stevia if you need some sweetness). Your waistline will really thank you for it.